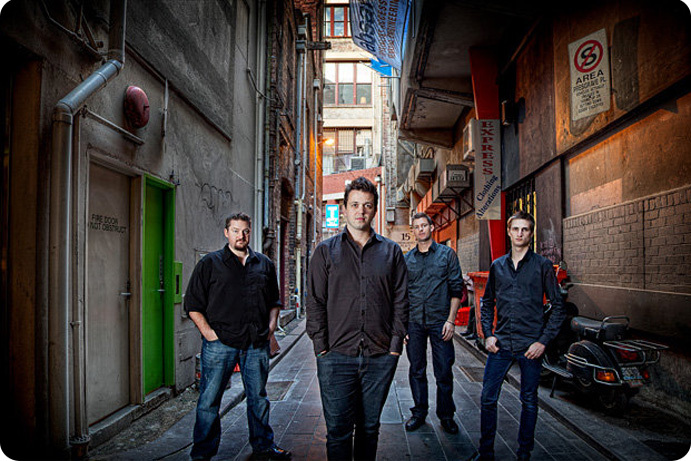 Chris manages and sings in Australia’s number one a cappella group, Suade. Using world-first live looping and effects technology, crazy stage antics and a wicked sense of humour, they take stages by storm in Australia and all around the world. His company, Suade Entertainment, uses Giggio to manage their gigs. We spoke to Chris about Suade, and how Giggio fits in. "Suade Entertainment came about from my main group, Suade. 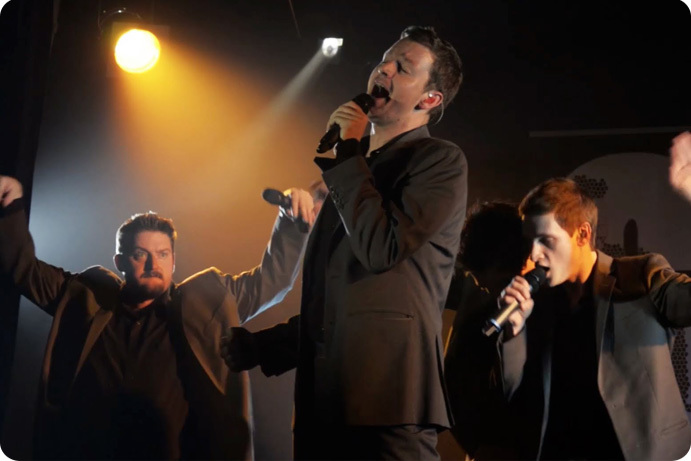 We’ve been doing festivals, corporate performances, council work, a lot of overseas travel and educational shows as an a cappella group. 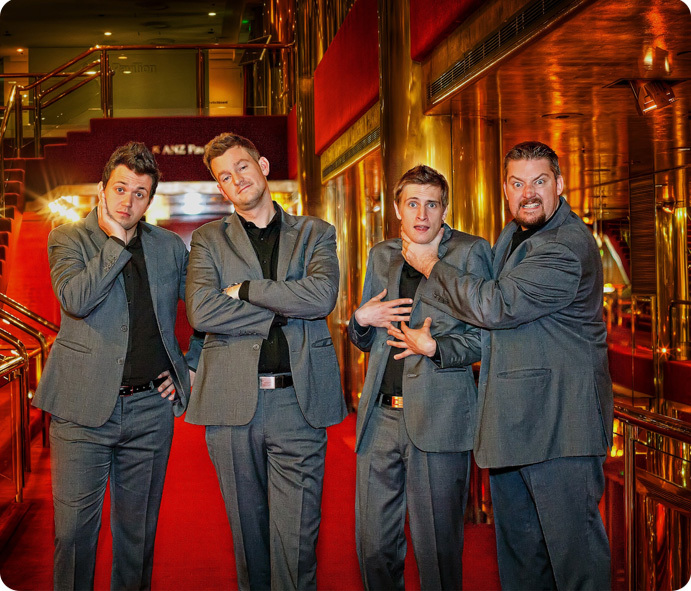 It's kind of morphed over the years and now we do a lot of comedy and it’s a four man group with lots of live looping. We’ve got a heap of clients, from all sorts of directions, and we try to entertain the pants off of people. We designed a way to simultaneously reloop all four voices so everything you hear is live, but by the end of the song it sounds like you’ve got 50-100 voices going at once. It's got that great live energy about it, but of course if you stuff up at the beginning of it, everyone’s got to listen to it until the end of the song! So it got a bit of edginess about it as well. The core group stays the same because it’s really hard to train people. It’s not like you can just give them a chord chart and a lyric sheet and away they go. They have to learn about everything - and very meticulously. We’ve spent a lot of time in Asia, and in particular South Korea. We just kept finding ourselves in the most extraordinary situations over there. One day a car picked us up and we travelled for about 2 hours. We couldn’t understand anyone so we didn’t know what we were going to. In the end, it was a live stadium gig, live on TV with 6,000 people in the audience - playing alongside some of the biggest Korean popstars, which was a real buzz. We got to meet the Britney Spears equivalents of South Korea which was Phenomenal! We got to sing with them and dance with them and we do a lot of Korean K-pop girl band stuff with their cheesy dance moves, which they find really funny. Before Giggio, I’d been doing everything as a self-taught hack for many years, and I just kept trying to streamline my process. In the meantime, what I wanted was a list of everything I’m working on, and something to tell me where I’m up to - Have I spoken with the client?, Have I chased up and got photos and testimonials from them? I talked to my brother and mother who are web designers. I tried to do it with Google Docs and Gravity Forms, and looked at a few of the CRM packages for bigger businesses. I then stumbled across Giggio and it was pretty much exactly what I wanted. I guess what sold me was that at the time I took a trial it didn’t have the option for the Australian Dollar so sent an email over, and straight away it was fixed! Before I signed up, my concern was that as Giggio was based in the UK communication might be difficult, but this proved it wasn’t the case! I got a good sense that the team were really switched on and keen to make a good product that worked for the customers. I appreciate that the team is interested in listening to what people have to say - I sent over a wish list of things that’d be really helpful and a lot of them have been ticked off. I just think it’s great. Giggio for me is a terrific way to streamline my communications. It brings a consistency to all my Client Relationships, and it’s easy for me to track where the work’s coming from and where I should be focussing my energy. Because everything is stored in the one place, I don’t need my laptop. It’s always available wherever I can get online. And here's one of their amazing 100% live performances.